Our trek around the country in search of those special wedding locations brings us now to Alberta. A province rich in mountains, prairies, lakes and vibrant cities, Alberta offers spectacular options for nature enthusiasts and urbanites alike. 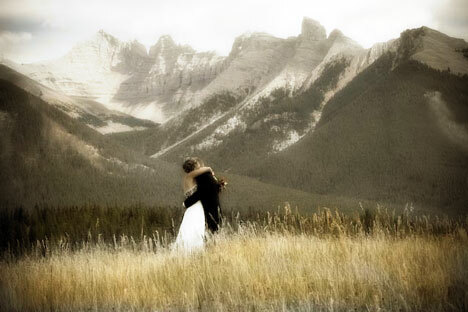 Nestled in the shadow of the majestic Rocky Mountains, Banff is an ideal location for those who want their wedding's backdrop to be awe inspiring and unforgettable! 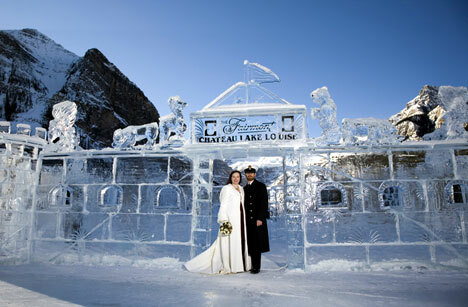 Connie Grace of "Elegant Banff Occasions" gives up her "insider" tips to these hidden treasures. a great intimate wedding location where the backdrop is simply, dramatic! As this location is property of Parks Canada, there is a strict no set up policy; however, most guests are standing for only 25 minutes. If you are looking for a simple yet dramatic ceremony...this is it! Cascade Gardens is located at the Parks Administration building. It features sheltered huts & gazebos while in the summer months, ponds & gorgeous flower beds. This is a great alternative to the Hoodoo Meadow in the event of rain. Again, there is a strict no set up policy in place - great for small ceremonies of up to 20 guests. 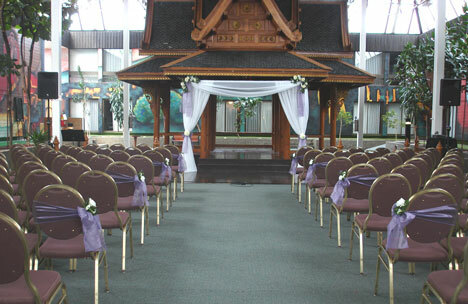 This is a fantastic location for weddings from 20 to 250 guests (always have an indoor back up location!). 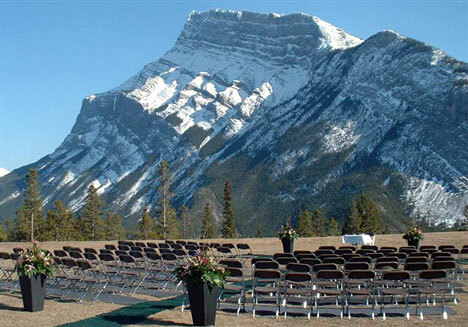 This is one of the most stunning and affordable Banff Outdoor ceremony locations. Although there are some restrictions such as no tents; it is well worth looking into. 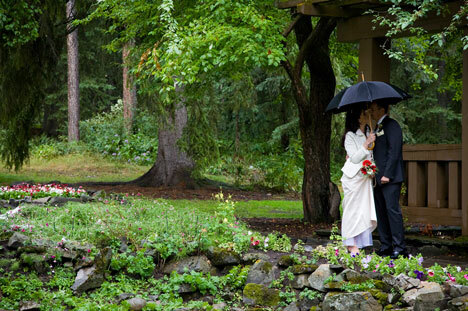 This fairytale ceremony location has been the most sought after in Banff. The acoustics are unrivalled. During the Christmas season (approximately November - January) the Mt. Stephen hall features a 2 storey high fully decorated Christmas tree. You only need to work with their decoration colours to incorporate into your own decor." 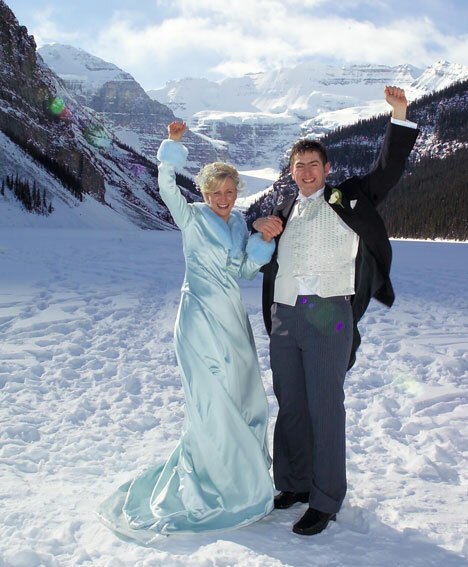 While Lauren from "Rocky Mountain Weddings" recommends the stunning Fairmont Chateau Lake Louise for your luxury mountain winter wedding! "A winter ice castle provides a captivating scene in the winter in contrast to the still turquoise waters during the summer months. With the Chateau Lake Louise providing an amazing indoor setting for your wedding brunch or dinner and some spectacular indoor photos this is an option not to be ignored. 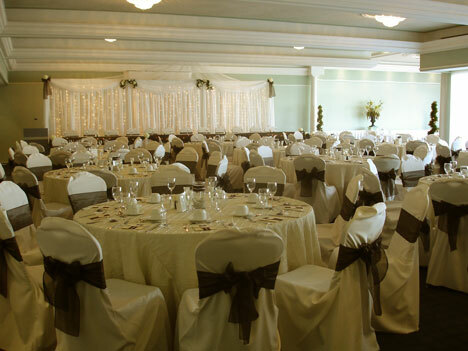 With indoor rooms for groups of 20 to 200 this hotel is a wonderful venue for a magical winter wedding!" 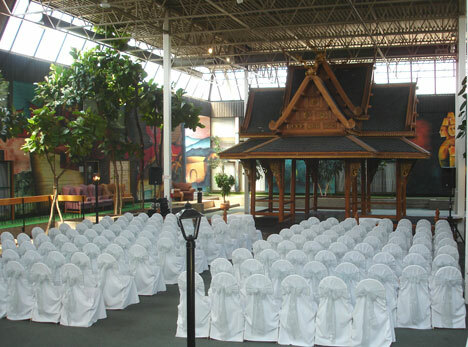 "The Mayfield Inn and Suites in Edmonton, Alberta provides an indoor ceremony location with a difference. The happy couple are framed by an exotic pagoda which can stand alone or can be enhanced by an attractive canopy or frame. Their perfect day is completed with a reception in the beautiful ballroom with its elegant gold chandeliers! What couple will ever forget their Beautiful Day?" 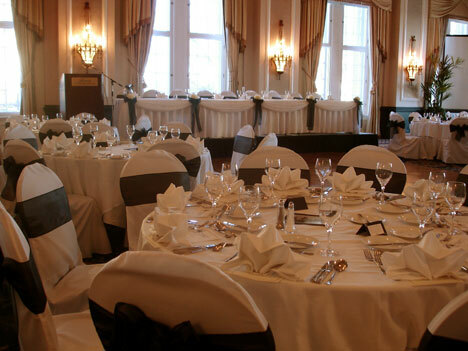 "The elegance and grandeur of the Fairmont Hotel MacDonald's Wedgewood room and Empire Ballroom is the preferred location for Edmonton weddings. 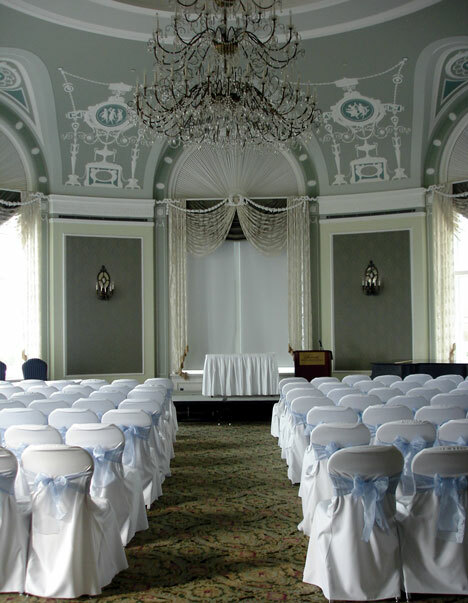 Happy couples hold their ceremony in the beautiful surroundings of the Wedgewood room, completing their special day in the opulence of the historic Empire ballroom with its crystal chandeliers, breathtaking ceiling and wonderful views of the river valley. Truly A Beautiful Day!" 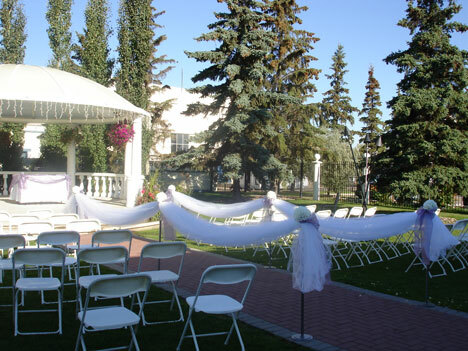 "The Chateau Louis is the perfect location for an outdoor wedding ceremony in Edmonton, Alberta! The outdoor gazebo provides a beautiful backdrop and if the Alberta weather is not co-operating, the ceremony is moved indoors to an attractive solarium surrounded by windows that overlook the courtyard and gazebo. You could not imagine a more perfect location for your ceremony! The gazebo can be rented for ceremonies; however, you can also book your reception in one of the attractive function rooms. 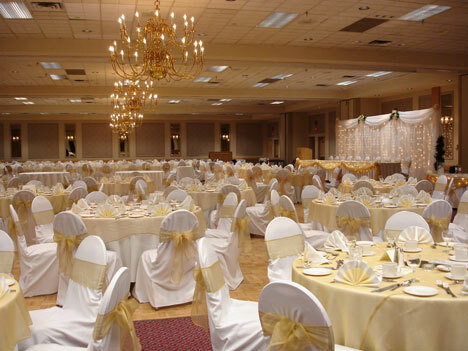 Both the St Michaels Room (up to 150 guests) and the Grand Ballroom (up to 250 guests) for dinner and dance receptions provide the convenience of having everything in one location. The staff at the Chateau Louis provides each bride with superior service and attention to detail in an effort to make sure her day is unique and special. The Chateau Louis is the perfect location to complete your Beautiful Day!"